I have been working on this book for the past 3 years. At last here it is. I have got to know so many excellent leaders in so many countries across the world, and have written down what I have learned over the years interacting with them. The book also contains some of my personal experiences in various situations. Business principles and spiritual principles are very different. The Church reveals a completely other world with different values and principles. Christ must be enthroned in our hearts through surrender and prayerful attention to His rule in our lives. The leader who does not know Christ closely ay be a good leader in human terms but his leadership will fall short of the will of God, which is to connect every believer with God Himself through His Son, Jesus Christ. There are a myriad of books written on Christian leadership, many of which present ideas that can come across more theoretical than reality, lacking Biblical substance and integrity. It is therefore so refreshing to read Les’s book Take Me To Your Leader which presents the key core value for Godly leadership, that being to firstly know the Lord intimately in order to effectively represent Him publicly. 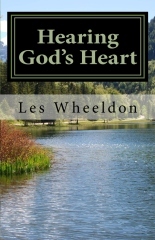 Les’s writings are presented as a genuine cry of the Holy Spirit for present day leaders to return back to their first love, and for any who may be aspiring to be a (future) leader in the Body of Christ, this book should be read, and reviewed on a regular basis. Les and Vicki are planning to take another tour to Israel in October and they would like to gauge the interest to see how many would like to come. They have an exciting itinerary for this 10 day/9 night tour and have chosen the October half-term dates to enable families to participate. If you are interested, please contact Vicki and she will get a booking form sent out to you. The cost of the tour is £895 if we have 30 or more in the group. This cost will be less with more in the group or can be slightly more if the numbers dip below 30. The focus will be to look at the biblical and historical events which took place at each location, (generally avoiding the religious buildings) and taking time to enjoy the natural beauty and surroundings. 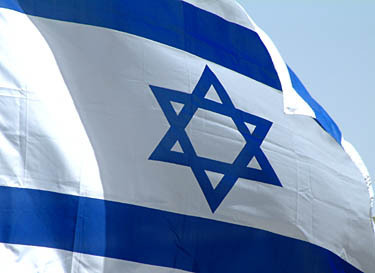 We will stay in hotels of a good standard in Galilee, Jerusalem and the Dead Sea. Our air-conditioned coach will meet us at the airport and will be used each day for touring. DAY 3: 20 Oct – Tue – Caesarea Philippi (Banias), Capernaum, Boat trip on Galilee, Yardenit. DAY 5: 22 Oct – Thu – City of David, Hezekiah’s tunnel and Pool of Siloam, Western Wall tunnels, Jewish quarter, Temple institute. DAY 7: 24 Oct – Sat – Golgotha, Garden tomb, free afternoon. Les has a new book out about. In “Blessed or Cursed? 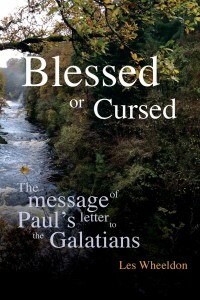 : The Message of Paul’s letter to the Galatians” Les sets out to challenge his readers to study one of the most searching books of the New Testament. Paul’s letter to the Galatians can deeply change a person’s life. Its message has the power to transform us and our whole approach to Christ and the Christian life. God Himself was speaking to the Christians in Galatia and beyond them to Christians everywhere. This short letter can open up a world of love, joy and peace in the power of the Holy Spirit. Les has just returned from one of his longest trips away from home; leaving on his travels just after the New Life conference in August and arriving back on the last day of September. It was certainly a very blessed and full time of ministry in four different countries, starting with a very special time with our close Esa-Pekka and Soile Mattila, who have recently moved to Helsinki. They are involved in the leadership of the One Way Mission and so invited Les to speak at their summer conference. The meetings were also recorded for use in their TV ministry. It was a very blessed week. Next stop was Singapore for three weeks, as Les is committed to teaching in the Tung Ling Bible School twice a year. These sessions covered the Letter to the Romans, The Genesis Code, and a series on leadership. The Tung Ling Bible School runs two three-month courses in Ministry and Leadership, and Les always enjoys the atmosphere and eager enthusiasm of the classes, packed with young people from Singapore and other Asian countries. We still have many contacts with various Church groups in Singapore, so weekdays and weekends quickly fill up with speaking engagements as well as friends to see. Suzhou is a very beautiful city not far from Shanghai, China. Les enjoyed his visit there very much visiting the believers and holding a conference for several days. After routing back through Singapore, Les flew to Hyderabad, then on to Vijayawada, India, to spend the last two weeks with Prem and Beulah Kodali. 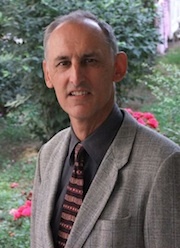 A conference had been organised and Les was asked to speak on the book of Revelation as well as various other subjects. While there, Les visited an excellent dentist to see if they could work out why he had so much persistent toothache (a problem going back over several months). Our dentist in England had warned him that there was quite a bit of work needing doing. After extensive X-rays, the Indian clinic said they could sort him out before he left in 5 days. This involved 5 crowns – 3 upper ones including a bridge, 2 lower crowns and 5 root canal treatments! An Indian business man, a lovely Christian brother, paid the bill. It was an amazingly positive experience and extremely professional – and now Les is free of toothache! During this very long trip, I was at home but not alone, as my mother is very good company. She has her annex on the side of the house where she entertains many friends and visitors from her church, St Mary’s. We also were able to get away for a week as I drove us both to Paris to stay with a relative there. It was beautiful late summer weather and we were able to enjoy the sights and get to see a lot of Paris. Les and I are looking forward to travelling together around the UK in October, including spending a couple of days in Edinburgh with our son, Daniel. He has recently started a Master’s degree at the University there. 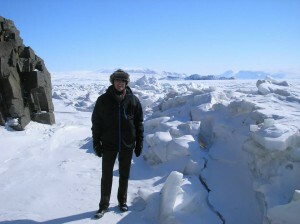 Please pray for Les and Sandy Robertson as they go up to the Arctic for the month of November. It is a very good time to go, as the Inuit can’t hunt during this season. The sea is freezing up so no boats can go out for fishing, but the ice is not firm enough to go out on sledges. Each time we’ve been out there, the people ask for November meetings as they will be well attended. It will be strange to have permanent night time during this winter season; our other visits have always been in the 24 hour daylight time. La victoire qui triomphe du monde : Notre foi par la nouvelle naissance. (The victory that overcomes the world: our faith through the new birth). Les and Vicki have continued their travels to countries both hot and cold – not to mention all the ones in between! Their home base is in the UK and they forward to spending more time there in the coming months. One of the highlights of this year was leading their second tour to Israel in April. Most of the group came from England this time, with the very welcome addition of two from Finland, and five Singaporeans – including Donna from NZ! It was a wonderful time of fellowship as they explored the Galilee, Jerusalem and Dead Sea regions; looking at the historical and biblical locations so rich in meaning and significance. Les was able to prepare and instruct all, as they traveled to these places in the air-conditioned coach, by explaining the background of each place from history and the Bible. Often there would be time at each location to reflect on the spiritual impact of the place before exploring and enjoying the site. We already have quite a few booked to come on next year’s tour, but places are still available. The dates are April 28th – May 7th 2014. Immediately after their return from Israel, Les and Vikci had one day to turn around before setting out for the Canadian Arctic. This was their fourth trip to Baffin Island, again wonderfully arranged by their dear friend Faith Turner. They were able to visit three Inuit communities during the three week visit. Their first stop was in Arctic Bay, in the far north of the island, where the Anglican and Full Gospel churches arranged combined meetings in the community hall. These meetings were well attended with wonderful times of worship and teaching. There is such hunger to hear the good news of the gospel as needs and hardships run deep in these communities. The next stop was in Iqaluit, the capital of Baffin Island, where Les was invited to speak at the Cathedral, interestingly built in the shape of an igloo – complete with spire! They enjoyed staying with, and getting to know the Bishop and his wife, a wonderful couple from N. Ireland, who have been serving the Lord in the Arctic for some years. Their last stop was in Cape Dorset – only an hour’s flight from Iqaluit in a small turboprop aircraft. There are no roads between these communities so the only option is to fly or spend days in hazardous conditions on a sledge! The best part of the visit to Cape Dorset was the combined meeting in the community hall where over 80 Inuit (out of 800) came to hear the gospel. They have been asked to go back to the Arctic in November 2014 as the summer months are quite busy hunting times. Many of the Inuit are out on the land fishing, caribou and seal hunting; but in November everyone is at home. It will be strange going in 24 hour darkness instead of permanent sunshine. Our photos can be seen here. Les is in Singapore at the moment with a busy program of teaching in various churches and in the Tung Ling Bible School. He leaves for China next week before returning to the UK on September 10th. Vicki has been spending time with her parents in Birmingham as her mother has been experiencing a lot of pain with back and hip problems.